A Free Read from the Book to Read or Listen To. 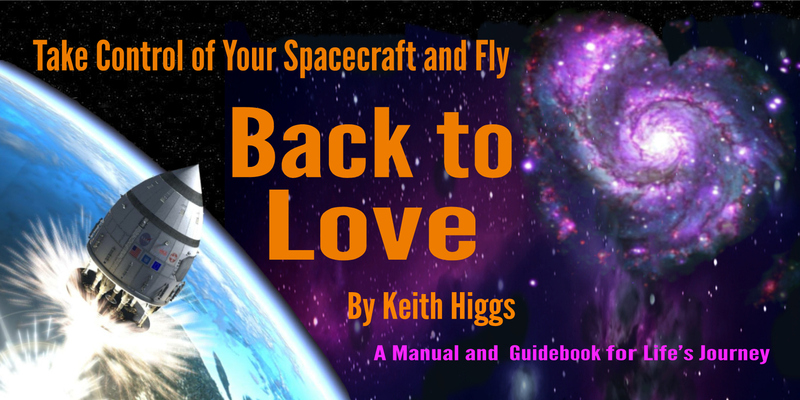 Every so often this page will feature a New Free Read or Listen to a topic from the book “Take Control of Your Spacecraft and Fly Back to Love.” It is open to all, without membership, as a way of making sure, even those who can’t afford the book, or are in countries where the currency can’t be used abroad, can benefit. The current Free Read is “There Is an Ancient Practice That Can Change Your World!” Ho’oponopono or the Forgiveness Process is a powerful tool to Change Your Life and the world around you. This practice is a powerful mixture of mindfulness, taking responsibility, forgiveness, gratitude, and love. It has empowered, touched my journey, and proved a special tool to answer and to help melt back into the void many situations, experiences, and some of the horrors that lurk in the dark corners of this world. This practice was brought into our present world by a medical practitioner, Dr Ihaleakala Hew Len. He emptied a worst offender prison in Hawaii using the power of its practice. It is called Ho’oponopono. The simple and powerful mantra or prayer ‘I’m sorry. Please forgive me. Thank you. I love you,’ can change your world! I use it when anything so absolutely horrible—that it is almost unbelievable—enters my world. These are the kinds of atrocities that would have put these insane felons into that hospital for the criminally insane in the first place. They are the kind of acts that the newspapers seem to love to spread—often titillating our human attraction for disasters and the morbid. In the process, they are spreading many fears into our world and consciousness. 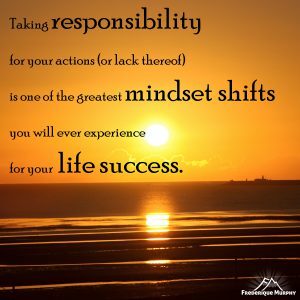 There is tremendous power in taking responsibility and acknowledging that I—as a human being—am capable of, and have possibly committed similar atrocities in thought or dream, action, or maybe even in other lifetimes. The extremes of darkness and light are in each of us! Another process that uses similar principles is Dr John Demartini’s ‘Forgiveness Process.’ This process is again an experience of cleansing. By taking responsibility, the process can make momentous changes in the meaning placed and carried by traumatic experiences. Like Ho’oponopono, it is also based on the acknowledgement of our own responsibility and humanity. ‘I’m sorry. Please forgive me. Thank you. I love you.’ They are so simple, powerful, cleansing and transforming words. The power of life and death is in the power of the tongue. The healing words that the tongue can speak will melt any atrocity and wash away its power, and the fears that power is wrapped in, cleansing, and making whole again. Can you believe it? Investigate it for yourself. Check out the power of that heart cry and prayer—especially when resonating from the core of your beautiful, mindful being. Take a look at your thoughts from the centre of your being. Realise they are not you or yours, but thoughts that have swirled around this universe for years. Shine the light of your truth on them. Are they real or imaginary? Remember, there only exists Love or fear. Be the observer. Let go and fly by those thoughts that don’t serve the Love you are. Remember, ‘Life Loves You’ and your core is Love. Fear not! Nothing can harm you! If you liked this, there are lots more inspiring topics and solutions in the book and on the site here. Take a look around. You can either sign in for a Free Explorer Pass or join as a Gold Member to read and listen to the whole book. As a Gold Member you can download the complete Audio and eBook. There are over 300 motivating quote pictures in 72 sections and over 5 hours of audio recordings here. Who do you know that would appreciate a copy of the book or a read of the website? Please share it with any who may benefit. Big Love and Best Wishes on Your Journey Back to Love. P.S. Bookmark this page and come back soon as there will be a new topic from the book posted here every so often.